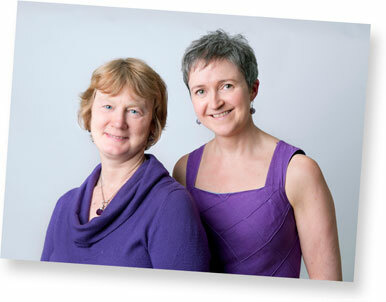 Mindfulness Matters was founded by Ann Caulfield and Derval Dunford to offer opportunities for teachers, parents and children to discover quiet space in the mind. They have worked with the Irish Primary Principal's Network (IPPN), the Irish National Teachers Organisation (INTO), and primary schools throughout Ireland. They offer courses in person and online, as well as mindfulness CDs and resources for children, in English and Irish. Derval has trained in teaching MBSR with the University of Massachusetts Medical School (UMASS). Ann holds a Doctorate in Education from the University of Lincoln specializing in occupational stress and the practice of mindfulness among primary school teachers in Ireland. What’s the state of mindfulness teaching in Ireland? Have you faced any resistance from parents or schools, or has everyone been supportive? 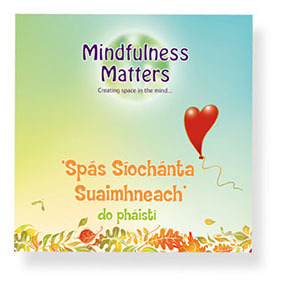 Mindfulness Matters has integrated mindfulness-based practices into the Social Personal Health Education (SPHE) programme, a curriculum subject in Irish primary schools. There has been little resistance. Many national organizations support the work: The Department of Education and Skills; the Irish National Teachers Organisation (Ireland’s only union for primary school teachers); Irish Primary Principals Network; Education Centres, teachers and parents. 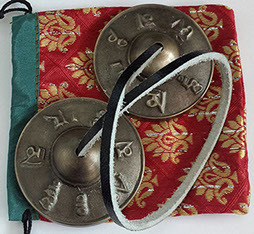 Do you have any suggestions for teaching mindfulness in second-language classrooms? This was an initiative to bring a new way to learning our native language, which is now spoken in only certain parts of Ireland. While the majority of schools in Ireland teach through English there are a number of schools that teach through Irish. Those schools have limited resources for the classroom, and teachers sought some mindfulness resources to support those children and to support the continuous promotion of the Irish language. Spás Síochánta Suaimhneach is the Irish translation of the Still Space CD and is readily usable in Irish-speaking schools. While we do not claim to be experts in teaching mindfulness in a second language, we have a particular way that we recommend using Spás Síochánta Suaimhneach in schools. We suggest that teachers use a particular track from the Still Space CD with the children for a period of time, until the children are familiar with it. Then they use the same track from the Irish language CD for a period. Teachers report that the children pick up the words and phrases and that the teachers themselves teach some new words as necessary. The phonetic dictionary offers a support also as it’s an opportunity to learn new phrases and vocabulary. Thus, children are gaining mindfulness practice while learning Irish. Ann, you conducted a qualitative study that explored the practice of mindfulness among primary school teachers in Ireland. What did you discover? The findings indicate that teachers who practice mindfulness find it useful for self-care, maintenance and stress reduction. It suggests that teachers have the capacity to regulate their thoughts and feelings with outcomes at personal, professional and classroom levels. At a personal level, teachers reported attributes of calmness, concentration, compassion, and an ability to respond rather than to react in challenging situations. At a professional level, improved time, workload and classroom management were reported alongside enhanced relationships and self-care. Interestingly, teachers practicing mindfulness generally introduced mindfulness to the children in their care and reported having greater empathy and compassion towards the children and their parents. Derval, you began practicing mindfulness to help you heal from illness and grief. We’ve seen in previous interviews that some trauma survivors can become overwhelmed during mindfulness meditation because of a surge of memories and emotions. Would you recommend that people suffering from PTSD get therapy first before beginning to meditate? 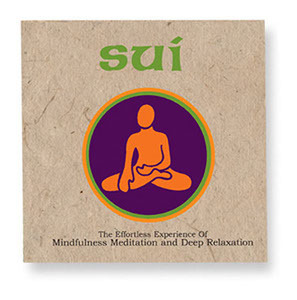 It was a long time after I recovered from PTSD that I began practicing mindfulness. Based on my personal experience, I would recommend that trauma survivors attend therapy and get to a place where they feel ready, and their therapist feels they are ready, to explore mindfulness meditation. Ann: I consider that mindful teaching is a way of life and a way of being. In my own teaching it enables me to pay attention – to pay attention to myself, the students and the community of learning. It is about presence, noticing and creating opportunities for awareness. Derval: Mindful teaching for me means embodying the practice. It means that in the midst of the chaos of school or life, one can retain an awareness of what’s going on in mind and body. It allows one to respond rather than react. It means operating from a place of compassion as opposed to a place of judgement. It’s being present to and supportive of the holistic education of each child. Ann: My practice is both regular and irregular! I do a daily morning practice and scatter mindfulness regularly throughout the day noticing my body, thoughts, and feelings, using the breath as an anchor to living in the moment as much as possible. Derval: I practice awareness of my breath and body regularly throughout the day. I do simple things like check my posture. How am I standing? Am I holding myself with tightness or tension? Is my breath shallow or am I holding my breath? This brings me back into awareness again and again. I also practice Loving Kindness regularly. This enables me to be compassionate with myself and helps me to support others in being kind and compassionate to themselves. It helps me to acknowledge the suffering of others and be aware of the commonality of experience. I do a sitting practice daily; the time span varies. This helps me to settle myself and focus on the tasks for that day. I do a mindful movement practice (yoga/pilates) five out of seven days per week. Sometime it may just be for five minutes, other times it may be 20-30minutes. Mindful movement makes me very aware of how my body is, it takes my focus away from my mind and whatever else needs to be done that day. It wakes my body up and helps me feel prepared for the day. I enjoy walking to refresh my body and mind. When I find myself getting caught up in ‘thinking’ I bring my attention back to my five senses and become present to what’s going on around me. The informal practice is part of daily life now for me.